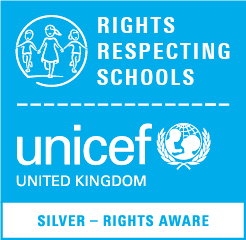 The RRSA recognises achievement in putting the Convention on the Rights of the Child (UNCRC) at the heart of our school’s practice to improve wellbeing and help all children realise their potential. The award is based on principles of equality, dignity, respect, non-discrimination and participation. 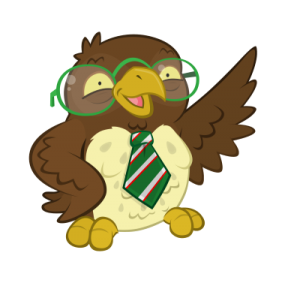 The initiative started in 2006 and schools involved in the Award have reported a positive impact on relationships and wellbeing, leading to better learning and behaviour, improved academic standards and less bullying. We are delighted to have achieved our Silver Award. There are 42 Articles that relate to our children, set out under four broad headings. The Convention applies to every child without discrimination, whatever their race, gender, religion, language or abilities, whatever they think or say, whatever family they come from. Every child has the right to have a say in all matters affecting them, and to have their views considered and taken seriously. This right applies at all times. Governments must do all they can to make sure every child can enjoy their rights. Governments must respect the rights and responsibilities of parents and carers to direct and guide their children as they grow up, so that they can enjoy their rights properly. Every child has the right to be registered at birth, have a legal name and nationality, as well as the right to know and, as far as possible, to be cared for by their parents. Children must not be separated from their parents unless it is in their best interests. Children whose parents have separated have the right to stay in contact with both parents, unless this might hurt the child. Governments must act quickly and sympathetically if a child or their parents want to live together in the same country. If a child’s parents live apart in different countries, the child has the right to visit both of them. Every child has the right to think and believe what they want and to practise their religion, as long as they are not stopping other people from enjoying their rights. Governments must respect the rights of parents to give their children information about this right. If a child is a refugee or is seeking refuge, governments must make sure that they have the same rights as any other child. Governments must help in trying to reunite child refugees with their parents. Every child has the right to the best possible health. Governments must provide good quality health care, clean water, nutritious food, a clean environment and education on health and wellbeing so that children can stay healthy. Richer countries must help poorer countries achieve this. If a child lives away from home (e.g. in care, hospital or in prison), they have have the right to a regular check of their treatment and the way they are cared for. Every child has the right to learn and use the language, customs and religion of their family, regardless of whether these are the shared by the majority of the people in the country where they live. If a child is adopted, the first concern must be what is best for the child. All children must be protected and kept safe, whether they are adopted in the country where they were born or in another country. Governments must protect children from the use of illegal drugs. Governments must protect children from all other forms of bad treatment. No child shall be tortured or suffer other cruel treatment or punishment. A child should be arrested or put in prison only as a last resort and then for the shortest possible time. Children must not be in a prison with adults. Children who are locked up must be able to keep in contact with their family. Children neglected, abused, exploited, tortured or who are victims of war must receive special help to help them recover their health, dignity and self-respect. If the laws of a particular country protect children better than the articles of the Convention, then this laws must stay in place.